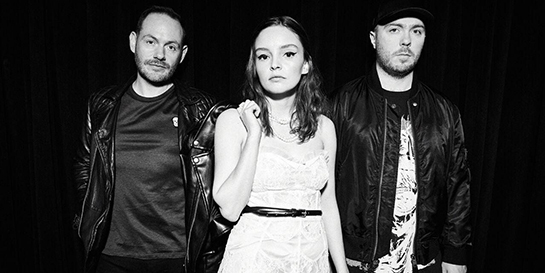 Virgin EMI’s CHVRCHES have released their new single Miracle this week, the fourth and latest track to be lifted from their eagerly anticipated album, Love Is Dead, out May 25. The track premiered as Annie Mac’s Hottest Record and, like their lead single Get Out released earlier in the year, as well as previous releases My Enemy and Never Say Die, is available as an instant grat to those who have pre-ordered the new album. Following the single release, the group have been championed on both sides of the Atlantic - Rolling Stone describe the new song as “colossal”. The group recorded all the tracks, except Miracle, in the US where they now are now based. The new album has seen CHVRCHES welcome outside influences for the first time. BRIT-winning producer Steve Mac, who has worked with Liam Payne, Ed Sheeran and John Newman and took home both the Songwriter and Producer of the Year awards at the MBW A&R Awards last year, has produced Miracle, with Greg Kurstin (Foo Fighters, Adele, Sia) producing nine of the 13 tracks at his LA home studio. Love Is Dead, which will be released via Glassnote Records in the US, follows the band’s Top 10 2013 debut The Bones Of What You Believe and its top 5 follow up Every Open Eye in 2015. Over the course of their career, CHVRCHES have played countless shows worldwide, leaping towards the top of festival bills. The band have announced their first UK shows in two years, playing BBC’S The Biggest Weekend the day after the album release, TRNSMT in Glasgow on July 8 and Citadel in London on July 15, as well as many other festivals across the world.